I know that taking in electrolytes is important. What are some good ways of replenishing them while I'm at work? Electrolytes are crucial for basic bodily functions. They interact with the body's cells to support the natural electrical impulses that make your neurons fire and your muscles move. That makes them especially important when you're at work. The good news is that electrolytes are easy to replenish. Some of the most common electrolytes are sodium, calcium, magnesium, and potassium. Fruits and vegetables are excellent sources of these and happen to be important components in a healthy diet. For most people, a normal diet rich in fruits and vegetables is sufficient to maintain electrolyte levels (learn more in It's Not All About Fluids: 5 Factors That Can Lead to Dehydration). If you think you need to bump up your electrolyte levels, it could be as easy as adding a banana or some berries to your lunch. Of course, it isn't always easy to consume fruit and vegetables on the job, and it can be a hard sell for some workers. If you have a more typical diet, you should drink an electrolyte beverage throughout your workday to make sure your levels stay up. This is especially the case if you work an intense, physical job. Just one bottle is enough to replenish the electrolytes lost in an hour of cardiovascular exercise. And, finally, be sure to stay on top of your water intake, even if you are drinking an electrolyte-repleneshing beverage. Proper hydration will help your digestion and keep the electrolytes circulating throughout your body. Have a question? Ask Bubba here. View all questions from Bubba Wolford. Bubba Wolford received his MS in Exercise Physiology from Mississippi State University 1991. 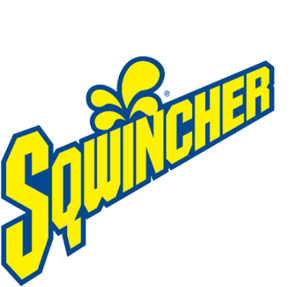 He joined Sqwincher in 2009, serving now as Director of Corporate Development and Training, where he spearheads promoting the importance of proper hydration within the Industrial Workplace to key corporate accounts.